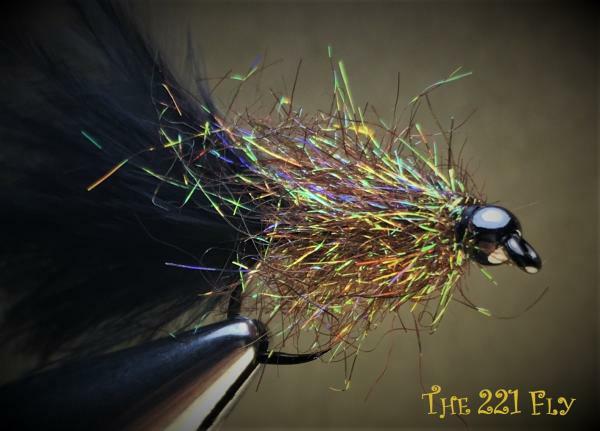 The 221 Fly is a variant from many similar designs but proved itself in so many ways. 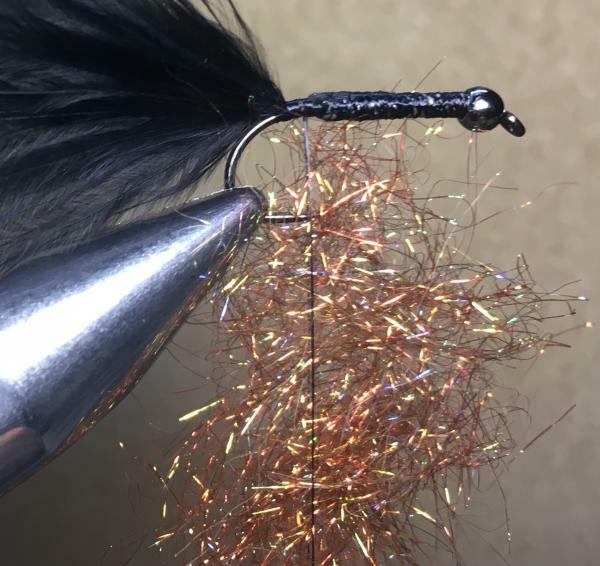 It was a competition fly at the Float Tube Competition held in Dullstroom during June 2018, with a huge success rate. Being well weighted it is also ideal for searching deeper water. 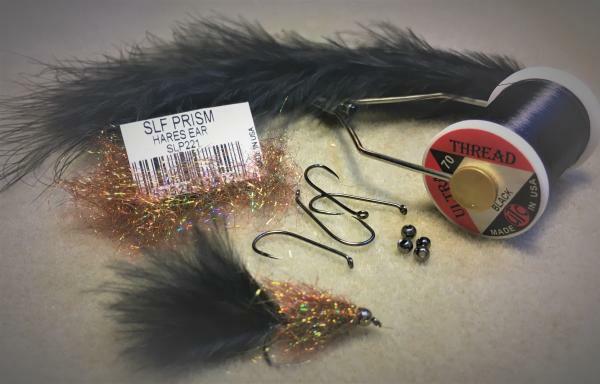 Not only does it catch trout (rainbow and brown trout), it also manages to land bass and catfish making it an all year round pleasure. 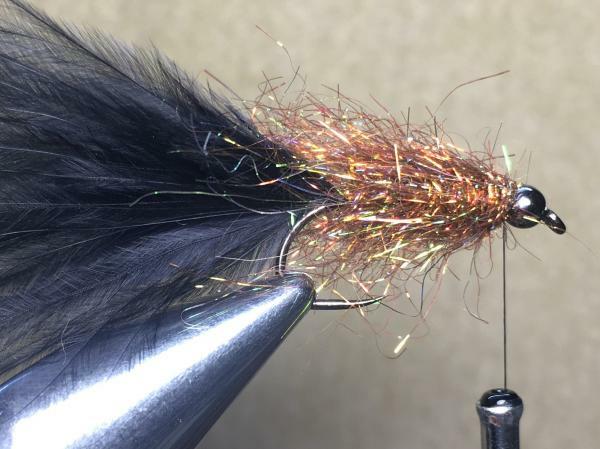 Fish it as a single fly or team it with other flies such as nymphs. Insert the bead onto the hook. 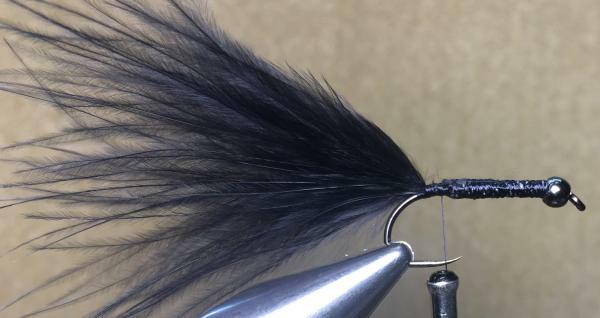 Place the hook with bead in your vice and slide the bead towards the eye of the hook. 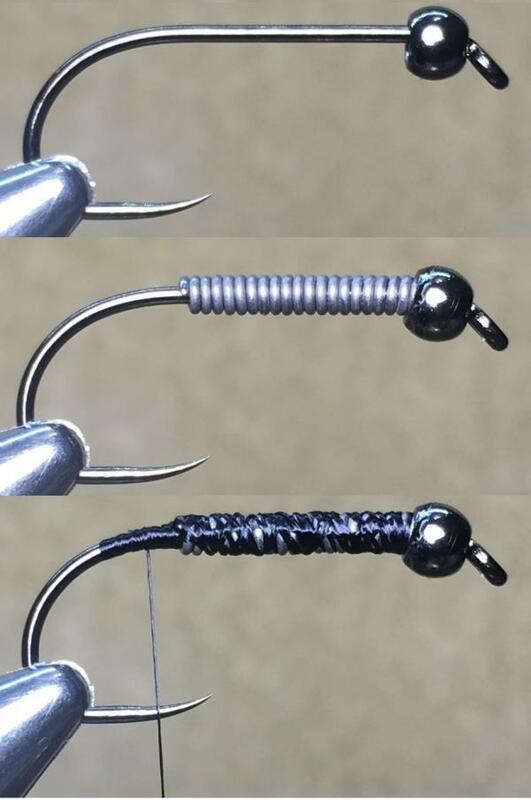 Add some weight with .20 or medium lead wire. Cover the lead with black thread keeping a smooth profile. Prepare some black marabou (about 3-5cm from one side of a stem). 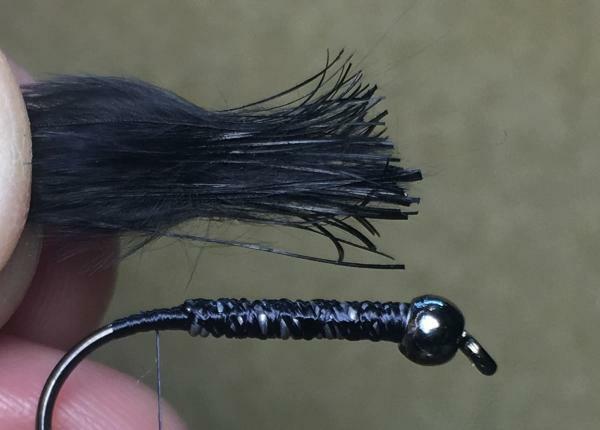 Remove the “fluff” from the thicker side of the fibers using your thumbnail (see picture below). This will create a thinner body profile to prevent bulking up materials. 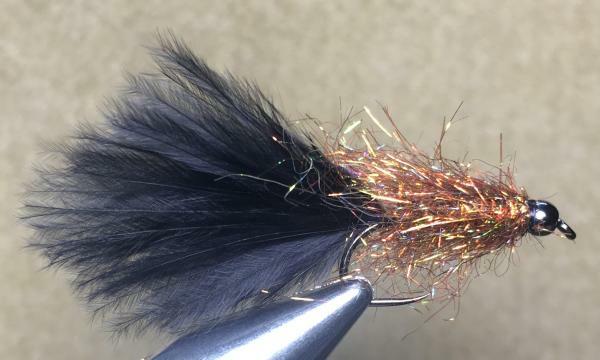 Tie in the marabou tail and finish a smooth body with the thread. Spin the thread anti-clockwise to open/flatten it. Split the thread using a bodkin or needle and insert the SLF material between the split thread while keeping tension. Spin the thread clockwise for the SLF material to form brush. Remove any loose material if needed or brush it lightly with a dubbing brush. Start at the tail and wrap the material forward while palmering it backwards, forming a neat body. End the wraps behind the bead not leaving any spaces. Complete with 4-6 whip finishes. This is what the profile of the fly should look like once completed.